The Lancaster Group has been in the accommodation industry since 1984, with their first leasehold in the Bay of Islands, New Zealand. After a number of successful leases in Tauranga, The Lancaster Group ventured to Brisbane, Australia in 1995, where they began their first Management Rights Business. See below for the full story. After a trip to Queensland, Australia in 1993 the Lancaster Group took an interest in a new type of business structure previously, unseen in New Zealand. Management rights businesses were already established in holiday resorts such as the Gold Coast and offered a lifestyle business. At that time, Queensland’s capital city Brisbane was beginning to ‘stir’, and big development companies such as Baulderstone Hornibrook were beginning to transform the city centre and river side. In 1995, the Lancaster Group bought its first management rights business at Mactaggarts Place. Built in 1926, Mactaggarts Woolstore was one of several stores at Teneriffe on Brisbane’s river. Wool was sent to Mactaggarts Woolstore by rail to be safely stored for prospective buyers. After it was sold, the wool was pressed and baled, trolleyed to the wharves, and loaded onto ships. With the introduction of container shipping in the 1960s, this method of wool handling was phased out and the stores were no longer used. With the redevelopment, the entire wool store was made into a residential building with some of the building’s original wool baling equipment and structural materials displayed throughout the interiors as a reminder of the building’s history. The building was original offering high stud ceilings and modern interiors which appealed to the inner city dwellers. The building contained 160 one and two bedroom apartments. The Lancaster Group went on with then partners Paul and Penny Middlemiss to purchase the neighbouring management rights business, Goldsborough Place. 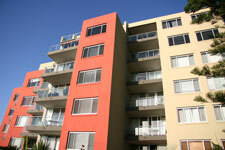 Goldsborough Place was a new building with 72 two and three bedroom apartments. Both properties boasted river front views with quick and easy access to the city. 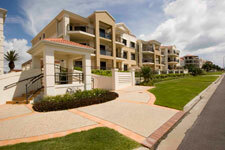 The two properties quickly became recognized in Brisbane as producing one of the highest capital gains for investors. Penny Middlemiss worked on a new type of corporate letting and by furnishing the apartments and working with some large companies in the New Farm area, owners were able to receive up to $200.00 per week extra income. The Gold Coast was next with another management rights business at Ocean Sands. This was a new 75 unit high rise development at Main Beach. It was purchased off the plan in partnership with another New Zealand couple Bill and Sheryle Sipson. By this time New Zealand developers were followed suit and the Lancaster Group purchased another management rights business back in New Zealand. Brinkley Village Resort was a new 52 unit ski resort situated in Methven, a small but thriving winter town at the foot of the Mount Hutt ski field. This property also had a 60 seat restaurant and 100 seat conference room. The property offered diverse income streams which is highly desirable and was operated as a family business. The early 2000’s saw the Lancaster Group develop their own luxury 16 unit apartment complex in the coastal holiday town of Pauanui on the Coromandel Peninsula called Ocean Breeze. This was structured as a body corporate with a management rights business attached. In 2003 the Lancaster Group purchased the management rights to Stafford House in Wellington. This is a 100 unit two and three bedroom apartments which offers accommodation to the students enrolled at Victoria University. In 2005 and 2006, the Lancaster Group purchased management rights businesses at two permanent let buildings in Auckland. The Landings Parnell in the CBD consisted of 220 apartments in a twin tower complex while Somerset Apartments was a 70 unit apartment complex in residential St Lukes. It was during this time the Lancaster Group began to consult to parties interested in purchasing businesses in the management rights industry both in New Zealand and Australia. In 2006, the Group again sourced and purchased new management rights businesses in Australia to be run by new partnerships. 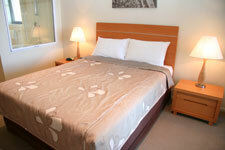 Scarborough Beach Resort is situated just 30 minutes from Brisbane’s CBD on the Redcliffe Peninsular. As one of the closest beach sides to Brisbane city, Redcliffe is a popular spot. Due to the lack of accommodation in the area at that time and under the management of Jan McLoughlin and Ivor Loveridge, the business was very successful. A new property called Proximity Waterfront Apartments has been recently purchased off the plan and is being managed by new partners Greg and Maree Johnson. This is a new 72 unit apartment block also in Redcliffe with nearly all apartments having water views. In 2007 the management rights at Oceans Resort in Whitianga were secured. Whitianga is a busy town on the picturesque Coromandel Peninsula. 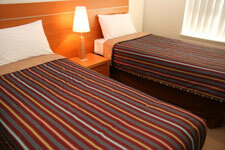 Oceans Resort has 20 one bedroom motel style units and self-contained apartments. The complex also has a conference/function room for up to 80 people. Most recently, the Lancaster Group with partners has entered into New South Wales and has purchased two management rights business in Yamba at properties named The Sands and The Links. Yamba is a lovely beach side town, popular with holidaying Australians offering picturesque beaches and an abundance of seafood. 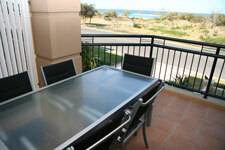 The Lancaster Group has enjoyed success in the accommodation industry over the last 25 years. Over time, it has seen the industry develop and become more competitive as a larger range of accommodation styles are on offer. A business owner now must not only be honest, reliable and hard working with common sense, practical know how and people skills but they must now more than ever be savvy with respect to marketing and sales. It is an exciting industry and the Lancaster Group endeavours to go on to savour what this growing and strengthening industry has to offer.